Melon Prosecco Cocktails, watermelon infused simple syrup and crisp prosecco make for one refreshing summer cocktail! Summer is right around the corner! I love summer time recipes because they are just so fresh, light and crisp. Melon has always been my favorite fruit. When I was little my Grandma Helen would dice up watermelon for me and I would devour it faster than she could cut it up! I still love it just as much today. I wanted to incorporate melon with one of my favorite summer (or anytime!) drinks, prosecco! I thought making a fun cocktail pairing the two would be the perfect beverage to sip on during hot summer day. 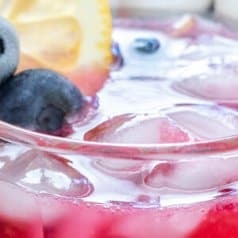 Just me, my Hubby, our little patio and a warm summer night, I can’t wait to serve these up! This is a very simple recipe using just watermelon, water and sugar. The main and most important ingredient in this cocktail is the prosecco, I used VOVETI. VOVETI prosecco is a dry brut DOC Prosecco with tempered acidity and a fresh, graceful profile. 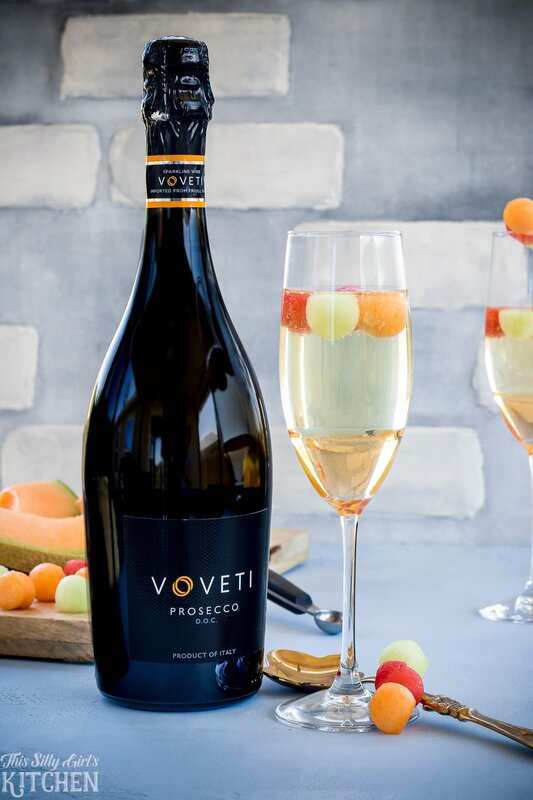 Marked by fine persistent bubbles, VOVETI prosecco is dry and features flavors or pear, green apple, melon and ripe peach that endure on the palate and invite a second glass. 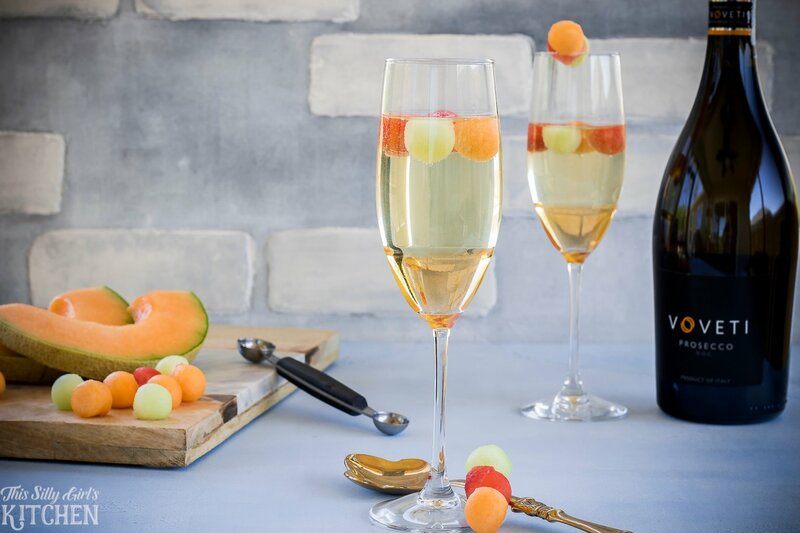 Having this flavor profile, melon was a no-brainer to pair with this prosecco. Place water and sugar in a small saucepot. Dissolve the sugar in the water over medium heat, stirring occasionally. Bring to a simmer and add the watermelon. Simmer for 20 minutes. Take off the heat and let cool completely. Strain through a mesh strainer. Assembling these cocktails couldn’t be easier. Using champagne glasses, pour about 1 tablespoon worth of the melon simple syrup in the bottom of the glass, or more if you like it sweeter. 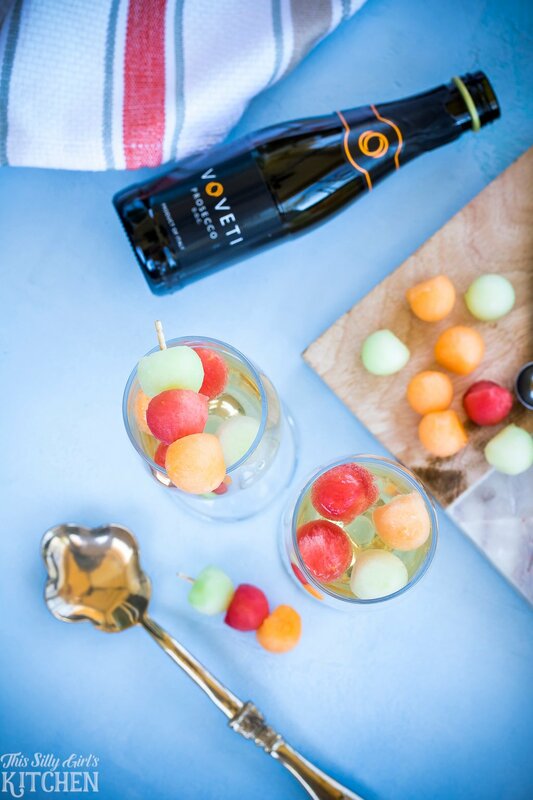 Top off with VOVETI prosecco, stir and add a garnish of melon balls of your choice. Do you like honeydew or another melon more than watermelon? Replace the watermelon in the simple syrup recipe with whichever melon you like! 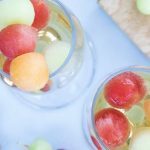 If you want to REALLY impress your guests, make your melon balls ahead of time and freeze them. 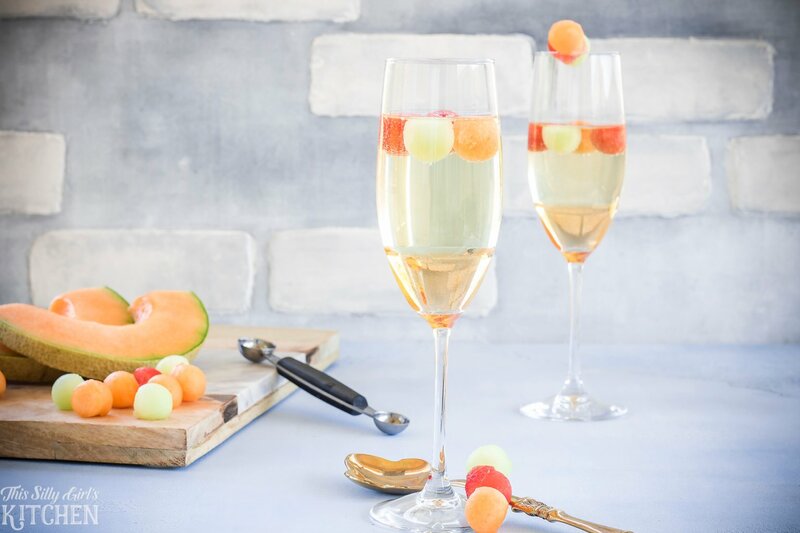 BOOM, instant melon ice cubes to keep your melon prosecco cocktails perfectly chilled. 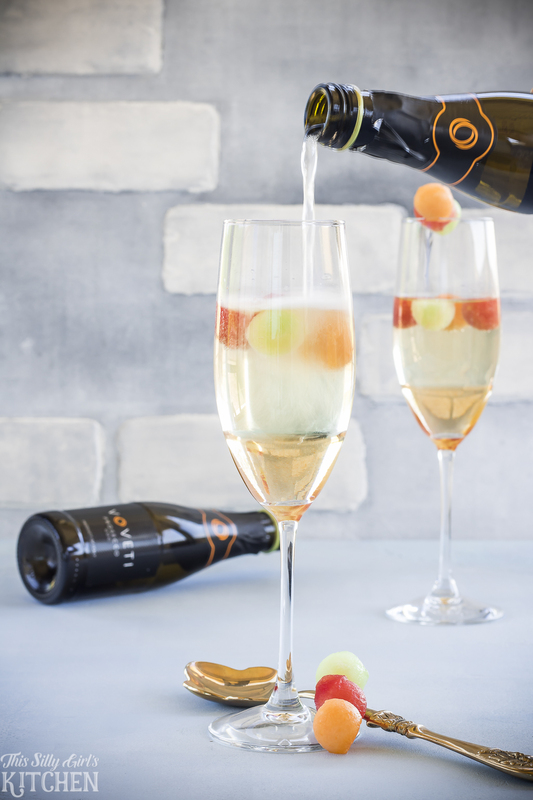 VOVETI is a Prosecco crafted from vineyard to cellar meant to share, inspire, and entertain the senses. Enjoy the adventure! 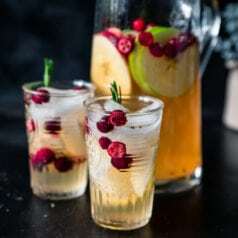 Perfect coctail for the summer, you rock, thank you.